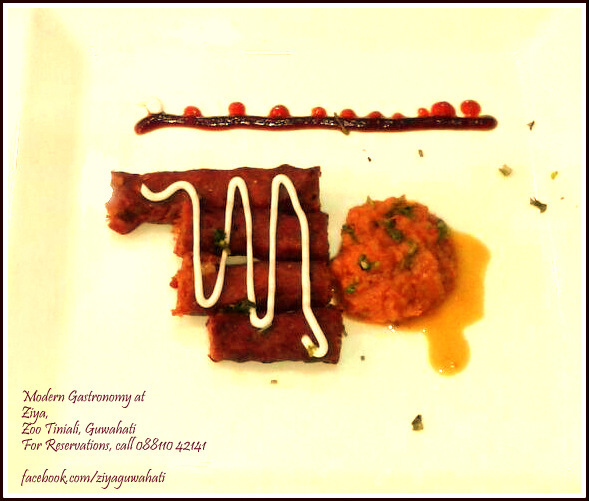 High time Guwahati had a fine dining experience at affordable prices. Don’t you think so? So when I saw my friend post a picture of Mushroom Khichdi with Makhani ice cream, I immediately pinged her and asked where she was! Right here in Guwahati, she pinged back. I wanted details! Where do you get a semi-sphere of mushroom khichdi with a papad placed precariously on the sphere topped with a Makhani ice-cream and plating so neat that it made my mouth water?! I delved in the details she provided. 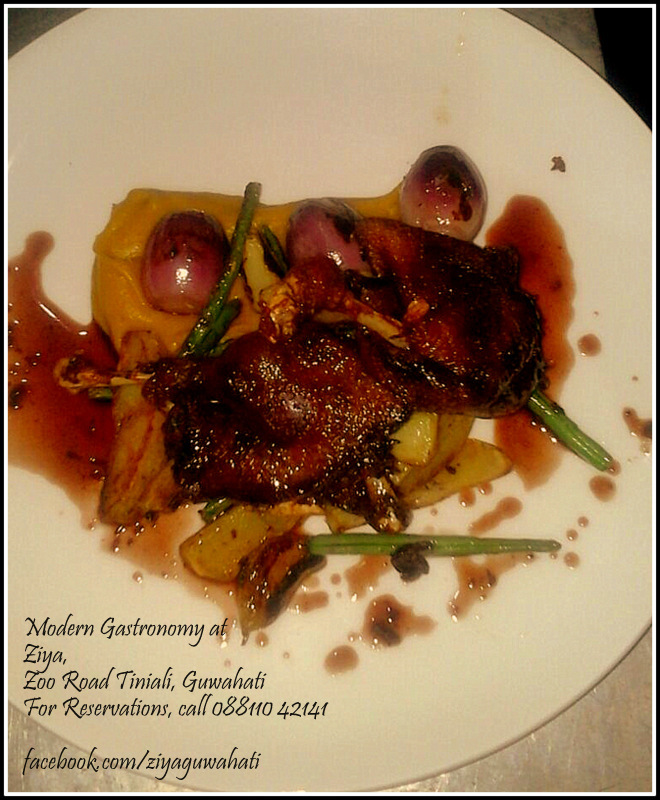 Turns out, Ziya, a gastronomical delight, is a new restaurant in Guwahati providing a glimpse to the world of modern gastronomy. 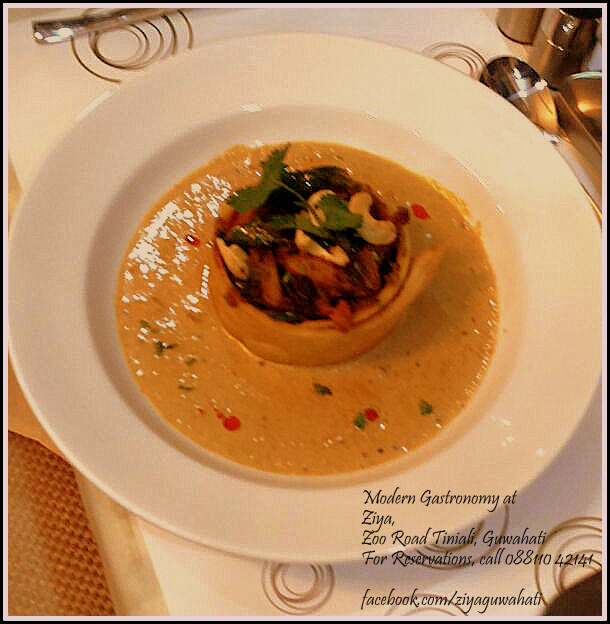 It specializes in Modern European and Oriental cuisine. This is something Guwahati needed (badly!). No, please, not another “Chinese” place sprinkled with ajinamoto but a place where you get inventions, not fake second-hands. 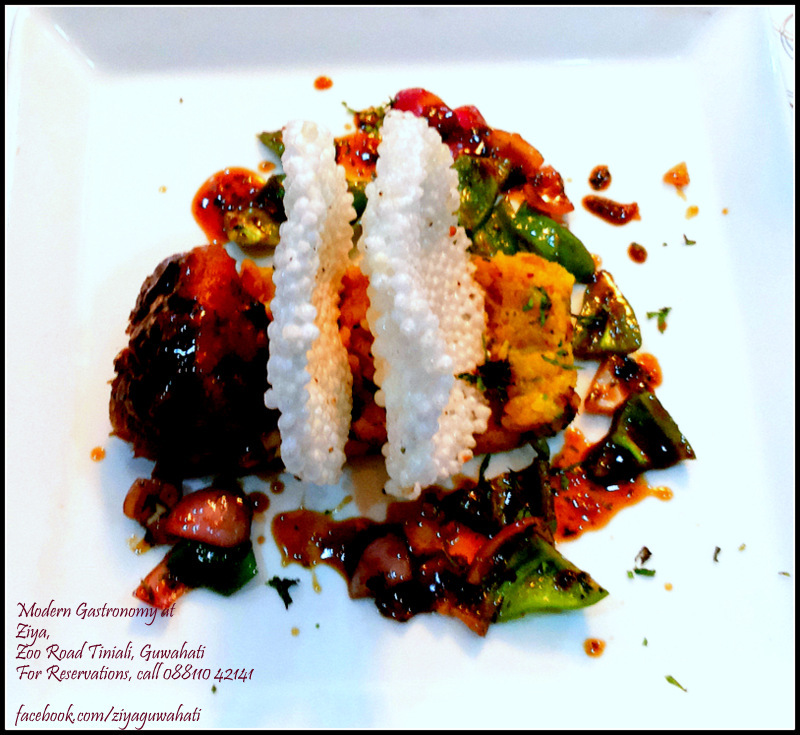 A twist to the usual fare; an unexpected taste of bogori chutney with bacon-wrapped-fish; a palette of colors and tastes; an explosion of your senses: in short, Ziya! I suspected an ‘artist’ must be behind a construction of a plate so neatly put together. Friends, Chef Udayan Phukon, who has been previously associated with the Taj Group and has 10 years experience abroad, has arrived in town! Dude, you should have arrived a while ago but like they say, better late than never! His is the small, brave step in food innovation and culinary that will (hopefully) have repercussions in the Guwahatian restaurant business. 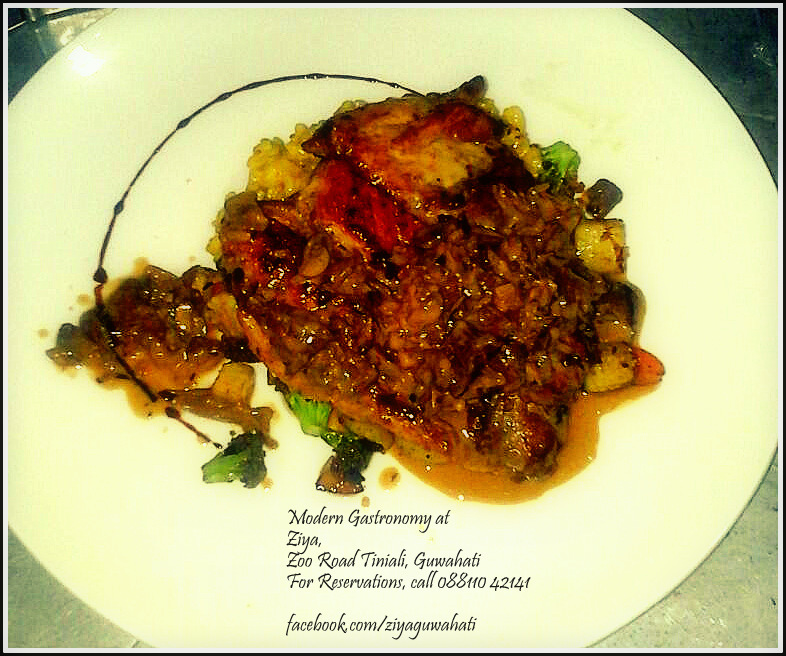 May this lead to a food revolution in Guwahati where people would finally appreciate the art that is food! Since that photo posted by my friend, I have sent an email to the restaurant manager, congratulating him (can’t contain myself, can I?) and he provided me a few photos of what his restaurant offers. 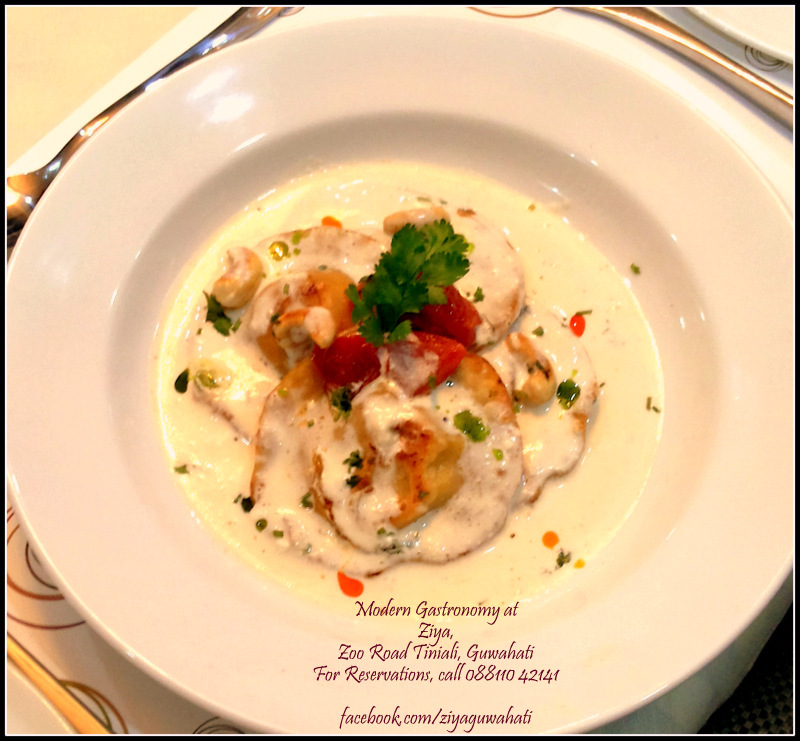 Aren’t these dishes handsome to the point of feverish nervousness at the moment of touching it! Previous Previous post: Day Trip from Pune: Panchgani and Mahabaleshwar in a day!